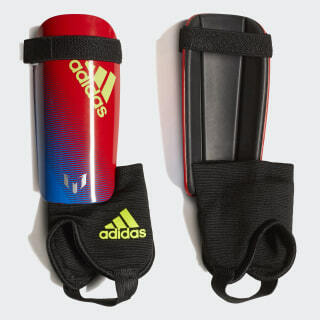 Soccer shin guards with the mark of a genius. These juniors' pads have tough shields that curve around you to absorb impacts. The EVA backing adds cushioned comfort. Straps at the top help adjust the width of the shields for a better fit while ankle guards provide coverage further down. 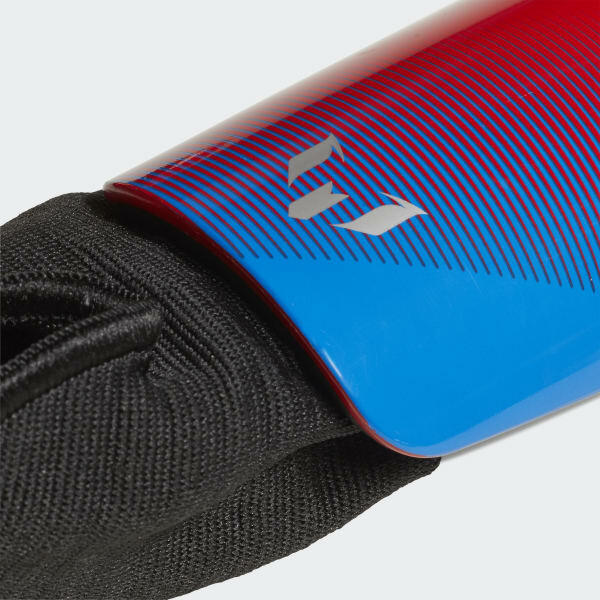 The design is inspired by Messi's footwear range.